Martin Luther called the epistle to the Romans the true masterpiece of the New Testament and the very purest gospel, which is well worth and deserving that a Christian man should not only learn it by heart, word for word, but also that he should daily deal with it as the daily bread of men’s souls. Paul had given perhaps the most systematic presentation of the gospel of Jesus Christ through his letter to the Church of Rome, and while some of the earlier chapters are rather confusing reads, chapter 10 is straightforward – talking about faith. 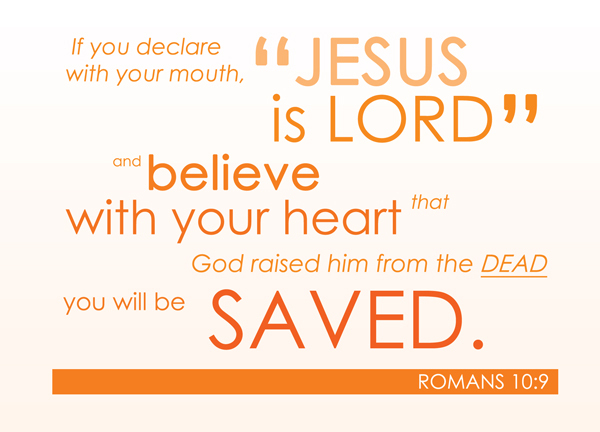 In Romans 10:9 we see a famous verse that clearly lists the conditions of our salvation. In this study, we will examine these conditions to expound on what we should do, and also read between the lines to what it doesn’t tell us.